Another glorious chapter in the incredible story that is the miracle of Villarreal CF was written on Sunday with an unprecedented invasion of Barcelona by over 10,000 of the Villarreal Yellow hordes. Spanish football fans don’t do away games, even the top clubs rarely muster as many as 1,000 travelling supporters for even the most important games. 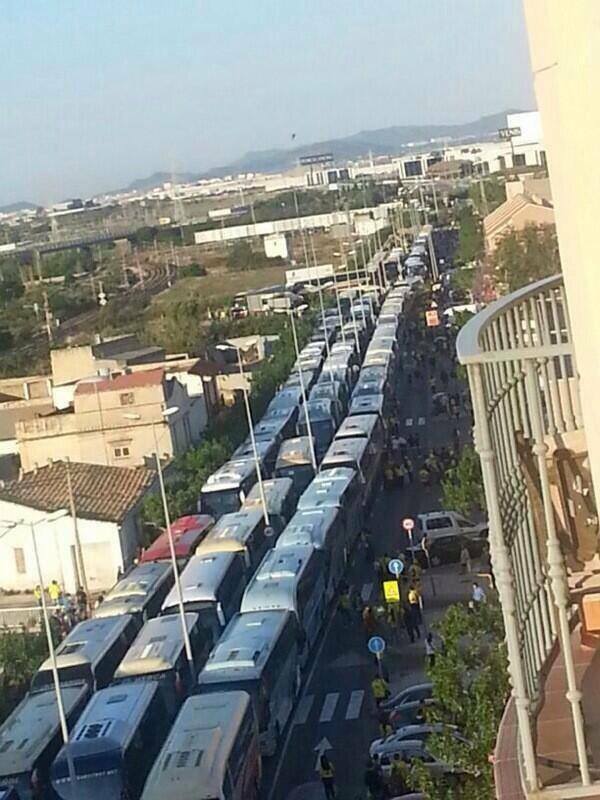 Last month several hundred Villarreal fans made a similar length of journey to Murcia. That was, rightly, seen at the time as an amazing act of community support and involvement, by Spanish standards. Yet Sunday’s events totally rewrote the template of what is possible. Villarreal as they have shown consistently for the last 14 years live by different rules and Sunday 2nd June saw something unprecedented in the history of Spanish football. A major football citadel, Barcelona, was overrun and transformed into a home base by over 20% of the population of another town. Spain had seen nothing like this since April 2004 when 10,000 Celtic supporters invaded Villarreal and captivated the whole town with their wonderful attitude and behaviour. (See the side panel for details of the book “Celtic Submari” that describes that invasion and how it led to a New Model of Football relationships). 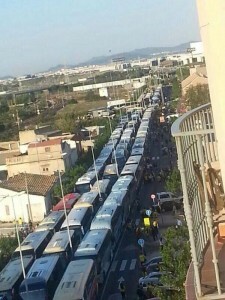 Almost 200 buses left Vila-real and drove in convoy to Barcelona. 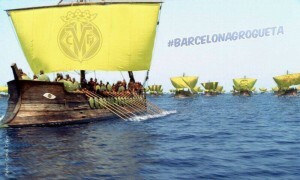 Over 10,000 Villarreal supporters, almost all wearing yellow tops, made the incredible journey. They took over the Mini-Stadium and transformed it into a sea of passionate yellow. A football stadium in Barcelona. The home team in their famous red and blue strip. The visitors the last La Liga team to split Barcelona and Real Madrid and claim 2nd place in La Liga. A totally unforgettable carnival atmosphere, and amazingly over 80% of the noisy crowd are wearing yellow and supporting the away team. Villarreal went into the game, against Barcelona B, the reserve team filled with the highly talented fruits of Barcelona’s vaunted youth policy, as the second top team in the Spanish Second Division. They knew if they won their last two games, away to Barca B then home to third placed Almeria, then automatic promotion back to La Liga would be guaranteed. The Yellow Hordes inspired their team to play their best football of the season. Villarreal won 3-0 with a breath-taking display of attractive football that leaves Barcelona outclassed in their own midden. OK so it was the Mini Stadium rather than the Camp Nou, and a Second Division game rather than a La Liga clash, but it was still a miracle in action, a remarkable day that will never be forgotten by any of the over 10,000 yellow clad invaders. In June 2011 Villarreal had finished 4th in La Liga, qualifying for the Champions League for the third time. They also were semi-finalists in the Europa League making it a hat-trick of semi-final appearances in an amazing 8 consecutive seasons in European club football. They had a squad packed with talented world class players and a young manager of great intelligence and ability. Twelve long months later, in June 2012, Villarreal CF were out of La Liga, relegated after a season of disaster and maladministration. The whole poignant story of how that eminently avoidable relegation happened, when they were only in the relegation positions for the last 180 seconds of the season, is available in a GGW special report that makes sad and sorry reading. Was that relegation the end of the Villarreal miracle? And would the Yellow Submarine do as bitter Burriana supporters had been predicting for years, and sink swiftly down through the lower ranks of Spanish football back to the natural level of 5th tier football appropriate for the size of their population? Sunday’s invasion of Barcelona was the second last confirmation that the resounding answer to both these questions is that the miracle of Villarreal CF is still on-going. 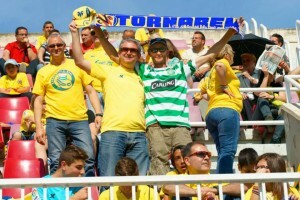 The Villarreal supporters stayed true to their own club. If 20,000 season ticket holders for a club in La Liga from a town of 50,000 population was indeed one of the true miracles of world football, then for a Second Division club to have around half as many is in many ways an even greater and more impossible miracle. But they did it. All season the motto has been “Tornarem” – They will return. The Miracle requires nothing less. To have a manager like Pellegrini was a major ingredient in the Villarreal miracle. And he showed with Malaga, taking them to within 2 minutes of a Champions League semi-final, just how much of a miracle worker he is in his own right. The Villarreal Holy Trinity of Fernando Roig, Llaneza and Fernando Roig Negueroles lost the plot after Pellegrini’s departure and made a series of disastrous and often inexplicable appointments, before and after relegation, including swinging bizarrely from a too old manager to a too young manager within days of relegation. But finally they resorted to their first principles and got it right with Marcelino Garcia, a manager in the Pellegrini Villarreal mould, a top class manager and a top class man. 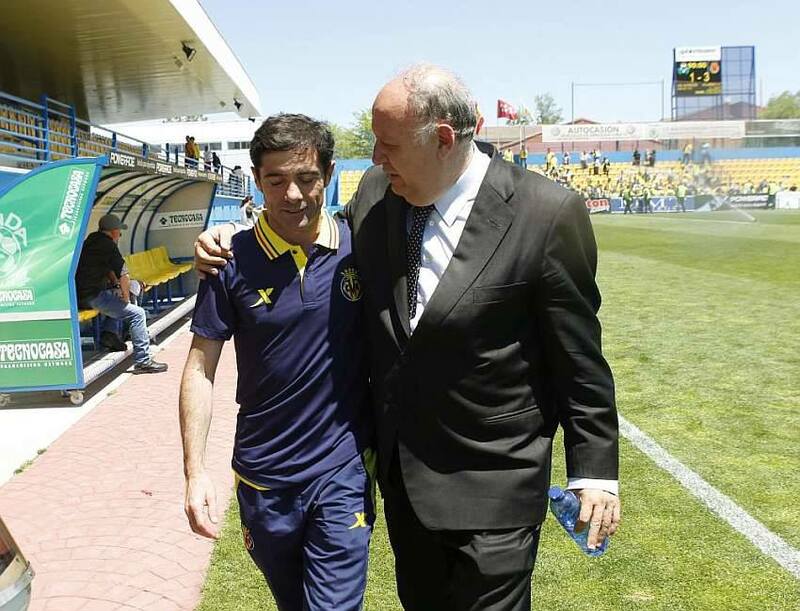 He has taken a squad that is, frankly, poor by recent Villarreal standards, to a position where they are 90 minutes from an automatic return at the first attempt, an essential requirement for keeping the Villarreal miracle alive. Many clubs from towns almost as small as Vila-real have had their moment in the sun, a season or two in La Liga. 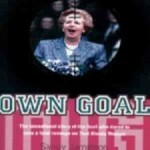 None have managed to return immediately after the inevitable relegation. Yet once again Villarreal are about to break the mould. 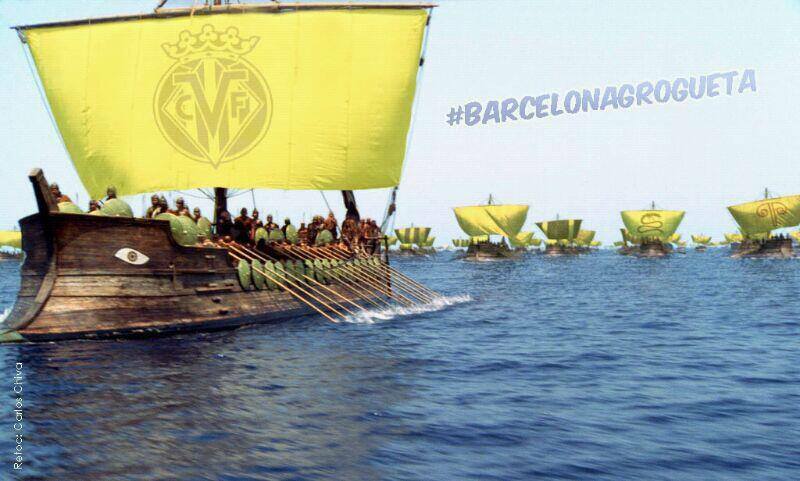 Saturday 8th June is going to be another exhilarating chapter in the story of the Villarreal CF miracle. The Madrigal Stadium will be filled to its capacity as the whole population of the town gather to witness the third promotion in their recent history. 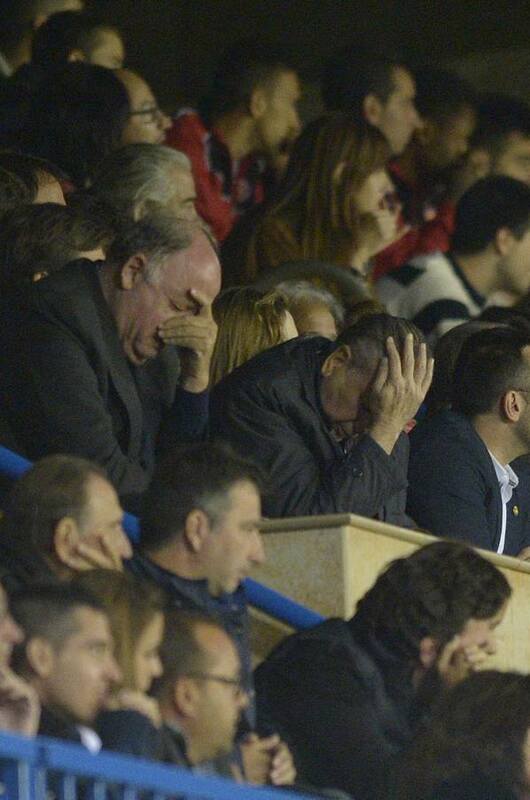 A victory against third in the table Almeria will guarantee promotion. Even a low score draw, 0-0 or 1-1, will see Villarreal promoted. Even if they fail to achieve that, there will be a promotion play-off contest involving Girona, Alcorcon and Las Palmas that Villarreal would be strongly favoured to win. 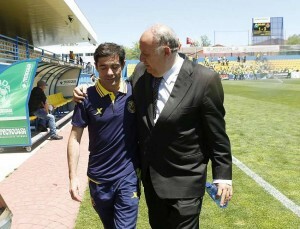 But the logic of the Villarreal miracle is that Saturday will see promotion confirmed and celebrated. GGW readers can watch the game, which kicks off at 6pm on Saturday on their commuter with any good broadband connection. Google “Villarreal versus Almeria livestream” and you will get a choice of channels. Throughout this season GGW has found the Arabic channels best for picture quality and English commentary.